Dallas police and city agencies are reaching out to the homeless to give them a warm place to stay for the night. Temperatures are set to hit below freezing Wednesday night, and the city wants to keep people from sleeping on the streets in the cold weather. "We're concerned about health more than we are, you know, when it's 70 degrees," said Jay Dunn, a manager at Bridge Homeless Shelter. Operation Code Blue is a collaboration between the Crisis Intervention Unit, the police department's citizen arm, city agencies such as the Bridge. They are hitting the streets to reach out to the homeless. 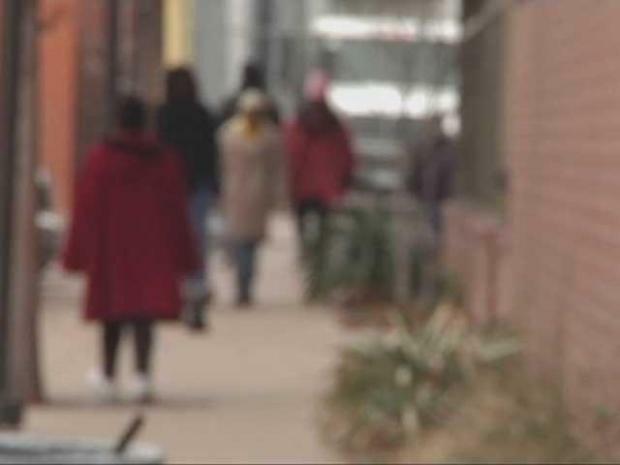 Dallas police and city agencies are teaming up to make sure the homeless aren't in dangers as temperatures dip below freezing. "Instead of providing a proper sheltered bed, we're having people spend the night in the lobby area, much like they would during the day, which, obviously, isn't the best-case scenario, but it does bring people in out of the cold," said Dunn. The Bridge has plenty of blankets ready to pass out in those cases. And the city is also providing an alternative to the Bridge once the shelter becomes full. "The city has decided to open up one of the recreation centers as an emergency shelter, at least for a short interim period of time," said Dunn. Samuell Grand Recreation Center temporarily will open to deal with overflow from the Bridge. The agencies are also spreading the word about services available year-round. "We're going to engage people through this and, hopefully, get them on the track to employment and housing," Dunn said.